A mystery London-based professor at the centre of George Papadopoulos's campaign to tarnish Hillary Clinton in the run up to the American election has been identified by international news sources as a Maltese academic. The Washington Post said that Mr Papadopoulos met Joseph Mifsud in Italy in March 2016, days after he joined the Trump campaign. Prof. Mifsud, the director of the London Academy of Diplomacy, was identified in a document that was among 20,000 pages that the Trump campaign turned over to congressional committees after review by White House and defence lawyers. He had already been contacted by the Post last August, and said by e-mail that he had “absolutely no contact with the Russian government” and said his only ties to Russia were through academic links. He did not respond to their request for comment on Monday. 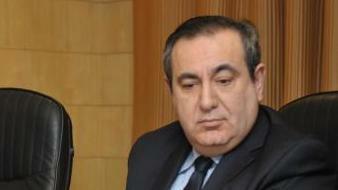 Prof. Mifsud once served as personal assistant to then-foreign minister Michael Frendo and was also seen addressing a news conference with Prime Minister Joseph Muscat before the 2013 general election about a possible deal between the Malta Labour Party and the INTO University Partnerships. In March 2013, Times of Malta had reported that expenses claims and high mobile phone usage had landed the distinguished Maltese academic in trouble with the Slovenian Government. The Post said it was Prof. Mifsud who put Mr Papadopoulos in touch with a Russian foreign ministry official, and an unnamed woman whom Mr Papadopoulos incorrectly believed was Russian President Vladimir Putin's niece. The contacts were initially aimed at arranging a meeting between then-candidate Donald Trump and Mr Putin. According to the Daily Beast, Prof. Mifsud has denied the allegations, calling them "a laughing matter." "I do not know anybody from the Russian government, let's put it this way," he reportedly said. "I am an academic." The following is a chronology of contacts, according to court documents unveiled on Monday, between Mr Papadopoulos, individuals claiming links to senior Moscow officials and top Trump campaign advisers. Mr Papadopoulos, a Chicago-based international energy lawyer, pleaded guilty to lying to FBI agents about contacts with people who claimed to have ties to top Russian officials, in the first criminal charges alleging links between the campaign and Moscow, according to the court documents released on Monday. The White House played down Mr Papadopoulos' campaign role, saying it was "extremely limited" and that he was a volunteer. Early March - Mr Papadopoulos, who was living in London at the time, learns he would be an adviser to Republican Donald Trump's presidential campaign. On or about March 6 - Mr Papadopoulos, based on a conversation with a "campaign supervisor," learns that a principal foreign policy focus of the campaign was "an improved US relationship with Russia." On or about March 14 - Mr Papadopoulos meets in Italy with an unidentified foreign professor who shows little interest in him until Mr Papadopoulos mentions he will be joining the Trump campaign. The professor then mentions that he has high-level Russian government connections. On or about March 24 - Mr Papadopoulos meets in London with the professor, who is accompanied by an unidentified Russian woman introduced as a relative of Mr Putin with connections to senior Russian officials. The woman, in fact, is no relation to Mr Putin. Mr Papadopoulos emails an unidentified Trump campaign supervisor and several Trump foreign policy advisers to say that he had met with the professor, Mr Putin's niece and the Russian ambassador to Britain (who was not actually present) to discuss a meeting with Russian leaders on US-Russia ties under a Trump administration. March 31 - Mr Papadopoulos attends a national security policy meeting in Washington at which Mr Trump and other top foreign policy advisers are present. Mr Papadopoulos tells the session that he has connections that could help arrange a Trump-Putin meeting. On or about April 10 - Mr Papadopoulos e-mails the Russian woman, who responds the following day that she "would be very pleased to support your initiatives between our two countries." Mr Papadopoulos, in an email copied to the professor, asks the Russian woman about setting up "a potential foreign policy trip to Russia." On or about April 11 - The professor emails Mr Papadopoulos that a trip to Russia "is already been agreed" and that he would be flying to Moscow on April 18 to attend a conference and meetings at the Russian parliament. On or about April 18 - The professor introduces Mr Papadopoulos via e-mail to an individual in Moscow who said he had connections to the Russian Ministry of Foreign Affairs, or MFA. Mr Papadopoulos and the individual have multiple conversations through Skype and emails over the next weeks about setting the "groundwork" for a possible meeting between the Trump campaign and Russian officials. On or about April 22 - The Russian MFA connection emails Mr Papadopoulos proposing to meet him in London or Moscow. Mr Papadopoulos proposes a meeting in London that includes the Russian ambassador to Britain. On or about April 25 - Mr Papadopoulos e-mails an unnamed senior Trump campaign foreign policy adviser that the Russian government has offered an "open invitation" from Putin to Trump for a meeting. On or about April 26 - The professor informs Mr Papadopoulos at a breakfast in London that he had met with high-ranking Russian officials during a visit to Moscow and that the Russians had "dirt" on Democratic presidential candidate Hillary Clinton in the form of "thousands of emails." On or about April 27 - Mr Papadopoulos informs the senior Trump campaign policy adviser by email that he had received "interesting messages" from Moscow "about a trip when the time is right." Mr Papadopoulos also sends a similar e-mail to an unnamed high-ranking Trump campaign official. On or about May 4 - Mr Papadopoulos forwards to the high-ranking Trump campaign official an e-mail from the Russian MFA connection offering a meeting in Moscow to Mr Papadopoulos with the Foreign Ministry's North America Desk. Mr Papadopoulos asks: "What do you think?" On or about May 13 - The professor emails Mr Papadopoulos to say: "We will continue to liaise through you with the Russian counterparts in terms of what is needed for a high-level meeting of Mr. Trump with the Russian Federation." On or about May 14 - Mr Papadopoulos e-mails the high-ranking Trump campaign official to say that the Russian government has "also relayed to me that they are interested in hosting Mr. Trump." On or about May 21 - Mr Papadopoulos sends an email to another unidentified high-ranking Trump campaign official containing the May 4 email from the Russian MFA connection and adding that "Russia has been eager to meet Mr. Trump for some time." On or about June 1 - Mr Papadopoulos e-mails the unnamed Trump campaign supervisor to ask "what message" he should pass to the Russian Ministry of Foreign Affairs regarding the offer of a Trump-Putin meeting. On or about June 19 - Mr Papadopoulos informs the high-ranking Trump campaign official that the Russian MFA wanted to know if Papadopoulos or anyone else could come to Moscow if Trump could not. "I am willing to make the trip off the record," Mr Papadopoulos writes. On or about Aug. 15 - The campaign supervisor encourages Mr Papadopoulos and another unidentified Trump campaign foreign policy adviser to "make the trip" if it is "feasible." The proposed trip to Moscow by Mr Papadopoulos did not take place. Jan. 27 - Mr Papadopoulos has an interview with the Federal Bureau of Investigation in which it was subsequently discovered that he made "material false statements and material omissions." Feb. 16 - The FBI has another interview with Mr Papadopoulos. The next day, he deactivates his Facebook account. A few days later, he stops using his mobile phone number and begins using a new one. July 27 - Mr Papadopoulos is arrested on his arrival at Dulles International Airport outside Washington. Joseph Mifsud's CV on the European Parliament site.